Did you know that maintaining good oral health can help you achieve better overall health? Our range of general dentistry treatments will help tackle your oral health problems before they cause more damage. Regular dentistry treatments improve the health of your teeth and mouth, as well as your overall health and wellbeing. We’re proud to provide comprehensive care for each of our patients. We want to help you achieve amazing oral health because a healthy mouth means a healthier, happier existence. Without our teeth, we wouldn’t be able to chew foods for energy and enjoyment, to talk to our friends and family, or smile in moments of joy. Oral health can give us an insight into our overall health, especially in the digestive and respiratory systems. If you’re having tooth trouble, it might show up in other areas of your body first, and vice versa. That’s why we’re proud to uphold a holistic dentistry care philosophy – because stronger oral health means stronger health all-round. A tooth coloured filling is used to restore decayed teeth. If you’re looking to fill cavities or replace old amalgam fillings, they may be the perfect solution. These fillings are perfectly matched to the colour of your tooth, making them virtually invisible. Silver fillings are an unattractive solution of the past that might even be weakening your teeth. Metal fillings often leave stains on your teeth and gums and can deteriorate over time, leaving gaps for bacteria to penetrate. But now that there’s an invisible, more effective option, why not explore if it’s right for you? If you are concerned about these issues, we are happy to help you replace your old amalgam fillings with our tooth-coloured composite fillings. Besides the fact that our tooth coloured fillings look much better, they are also made of high-quality materials. Tooth coloured fillings have been used for visible front teeth for cosmetic reasons for many years. Recent improvements in filling materials mean we can use this type of filling material for the back teeth as well, which offers you a more affordable, widely used as an alternative to silver fillings. Root canal treatment is the process of disinfecting small channels that runs inside your tooth. Before root canal treatment once the bacteria from the dental decay has entered the centre of the tooth – the tooth had to be removed. But now we can save these teeth. The length of a root canal appointment varies depending on the complexity of the treatment and on the number of nerve canals found in your tooth. No. We use a local anaesthetic to prevent any discomfort during the appointment, and sometimes we will recommend taking some over the counter painkillers as some patients may experience discomfort after their appointment. The success rate of a root canal treatment is usually around 90% if the canals within the tooth can be clean. However if there are obstructions to this process the success rate drops. We only extract tooths as a last resort. Teeth are precious. They’re the only part of the human body that can’t repair themselves. Once an adult tooth is removed, we can’t grow it back. That’s why we completely understand why patients might feel nervous about tooth extractions. We want you to know that if we recommend a tooth extraction, it’s because the tooth is a significant threat to your other teeth. We see removal as a last resort to bring you back to peak oral health. We offer plenty of sedation options to make extractions as pain-free as possible. Because of modern technology, our incredibly experienced dentists, and the help of IV sedation – it is incredibly simple and less painful than ever to extract a tooth. We are skilled in this core procedure and take pride ourselves in making it as simple as possible. No matter the reason you’re saying goodbye to a tooth – you can trust that you’re in safe, experienced hands, working to make the process as comfortable for you as possible. 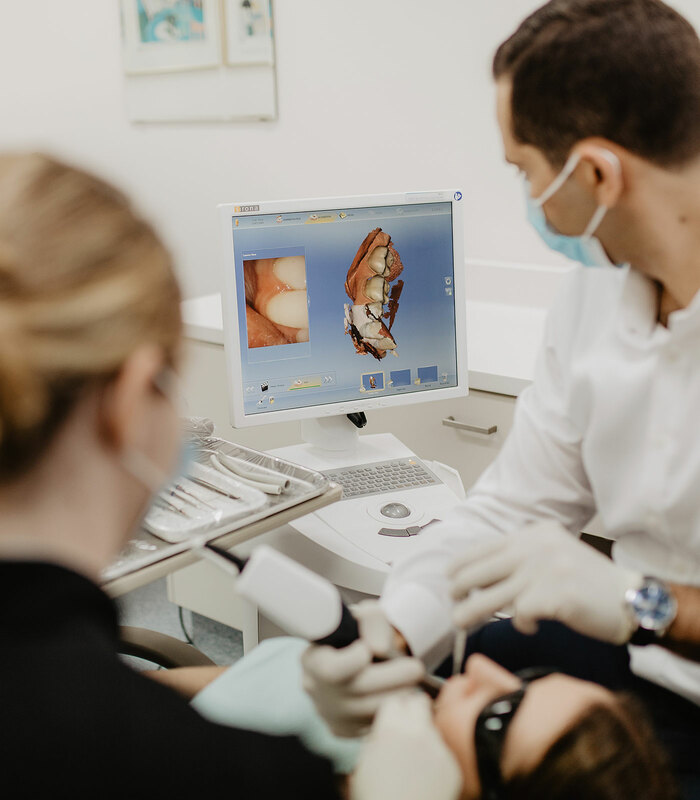 As dentists and dental professionals it is our passion to help our Duncraig Dental Care community to achieve optimal oral health and happy smiles. Through conscious oral care and attentive dental hygiene we can help you improve the health of your teeth and gums so that you can continue to eat, laugh and smile for as long as possible because improving your oral health today can make a huge difference in preventing potential oral health problems in the future.